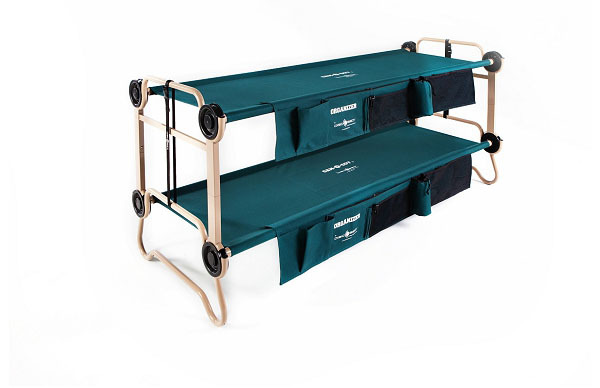 Now they get to take their bunk wherever they go. 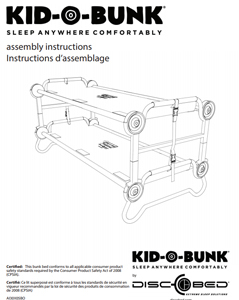 This revolutionary set assembles in minutes to create instant extra sleeping accommodations for your pint-sized guests. 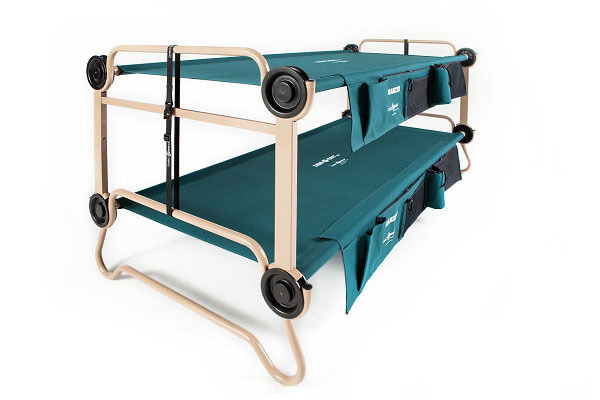 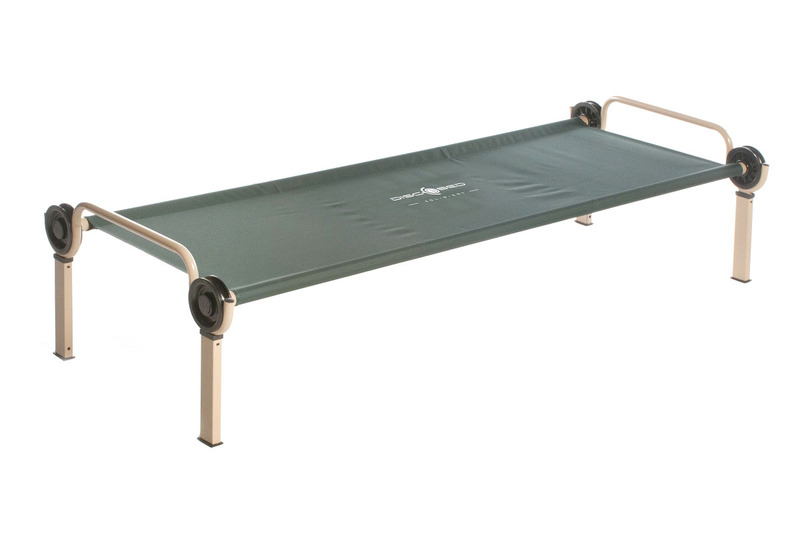 Easily convert from bunk beds to twin cots, depending on your needs and space. 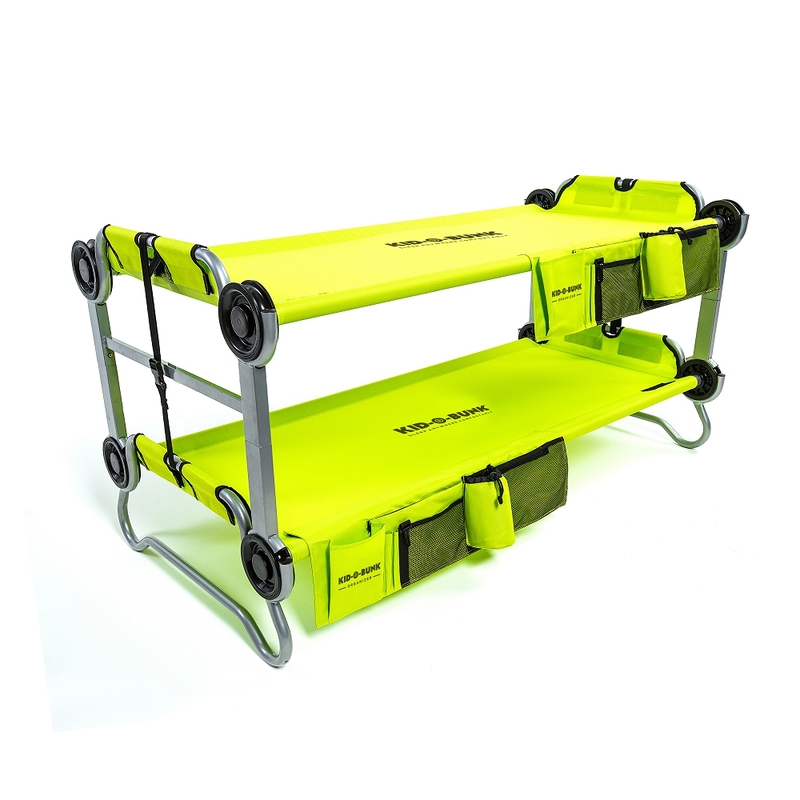 Stows away in its own handy carry bag.